It's happening. It's actually happening. The one player who has been subject to the most individual criticism and ridicule in the post-Sir Alex Ferguson era at Old Trafford is finally leaving Manchester United. That's right - United supporters who have been praying for the combative midfielder to pack his bags and leave the club, despite successive managers clearly rating him, look to have got their wish. Earlier we reported that reliable Turkish outlet Ajanspor were running the story that the Belgium international had agreed personal terms with Galatasaray, beating off competition from Tranzonspor. 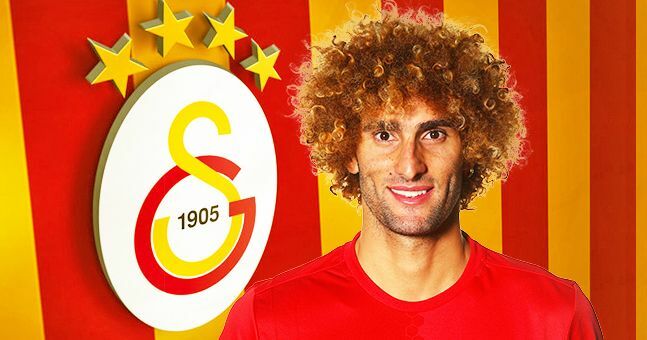 Now it is being more widely reported on a numerous Turkish media channels that Fellaini has in fact 'signed' a five year contract already - suggesting that the deal has Manchester United's blessing. An official announcement is expected imminently.